The Global Catch Challenge for 3 Billion is Now Live! A new event has been announced, one that encourages the most indirect teamwork yet. 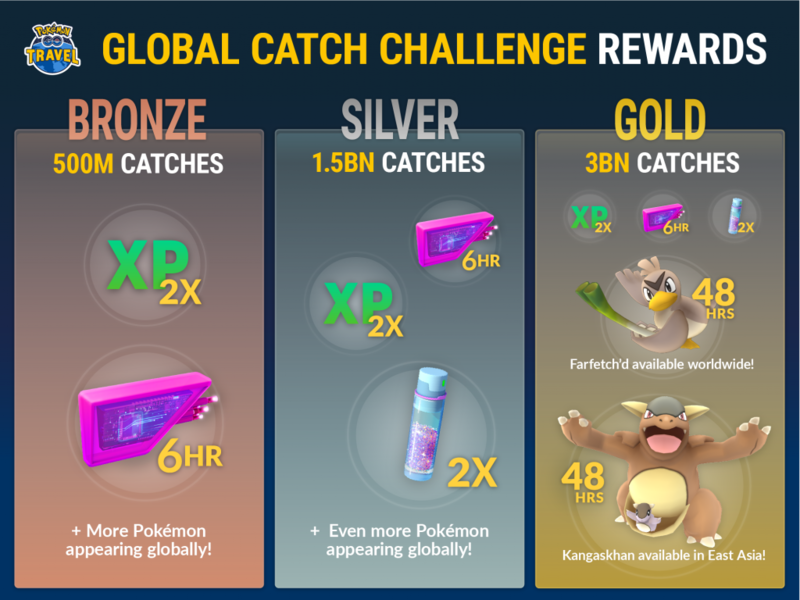 The first Global Catch Challenge. Niantic has created Pokemon GO Travel, a video series where a team of trailers from around the world are brought to Japan to catch Pokemon. To kick-start this series they are starting the first ever Global Catch Challenge. For 7 days (November 20 – November 26) the entirety of Pokemon GO will be working together to collect 3 billion Pokemon. In doing so, you will unlock rewards for everyone by meeting certain stretch goals. The event will conclude with a special celebration at the Pokémon GO Safari Zone event in Tottori, Japan, on November 26. This is a huge number to achieve. Good thing the entire world is there to help. Farfetch’d coming to the US would be wonderful news for those who love to collect as many as they are. If I have to catch more Pokemon to do my part towards this goal, who am I to complain? You can keep up with the Pokemon GO Travel videos on the Pokemon GO YouTube page. The show features IHasCupquake, Coisa de Nerd, and Rachel Quirico as they travel and learn about the culture of Japan, and catch more Pokemon of course! Pokémon GO will no longer be supported on devices running iOS 8 or earlier. The..
With the year starting to wrap up, it's hard to believe that Niantic still has s..